Carlos Vela and his Tottenham mate Giovanni dos Santos are the only European based players to have been called up in the Mexico national team which will in effect keep them away from a large part of their respective clubs pre season preparations. They are to participate in a series of friendlies prior to taking part in the Concacaf Gold Cup and end up with a serious World Cup game against the USA. 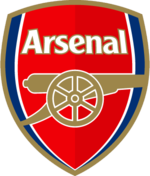 The latter is due to take place on the 12th of August 2009 which is only a few days away from Arsenal’s first League fixture of the season at Goodison Park against Everton. Carlos has already travelled to Mexico and spent time with his family at his home town, Cancun, the well known resort. He has on Monday 22nd June, travelled to Atlanta, Georgia in the USA with the rest of the team where they will play two friendlies. The first against Venezuela on Wednesday and on Sunday in San Diego against Guatemala. They will then participate in the Concacaf Gold Cup, which starts on July 5th which is when Arsenal’s pre season training begins. Mexico’s first game will be against Nicaragua and will continue on 9th against Panama. Mexico’s first round games end on July 12 against Guadeloupe. Should Mexico progress they would potentially carry on until the tournament ends on the 26th of the same month. Mexico will then have a fortnight before they face the USA in a crucial World Cup qualification game. Carlos will presumably travel back to London as soon as he can, depending on how far Mexico progresses on the Concacaf Gold Cup and then he will have to cut his pre season short again to travel back to the USA (if he is called up) in time for the game on the 12th August. If this schedule materialises it will play havoc with Carlos’s preparation for the new Premier League season which starts on August the 15th. Mexico's poor results in the World Cup qualifiers in the region cost Sven-Goran Eriksson the coach's job in April. They are fourth of the six teams in the final Concacaf group with six points, behind Costa Rica (12), the U.S.A (10) and Honduras (7). The top three go through to the 2010 finals in South Africa, while the fourth-placed team plays off for another berth against the team finishing fifth in the South American group. king kolo from AM ;). With rosicky,walcott,arshavin,wilshere,bendtner,nasri,ramsey,denilson,simpson,traore, im sure he can be replaced. Can't believe Dos Santos got picked. Typical overhyped spud.